So began an article in the December 1990/January 1991 issue of the British fan club magazine, that I stumbled across while reading some back numbers a couple of days ago. Those of you familiar with my blog know this is something I like to do. The article, in which the author David G Hall described the results of the initial searches of both the New York and Indianapolis storage vaults, was interesting in a couple of ways. For one thing, it made me realize that it's exactly 20 years this month since Ernst Jorgensen and his team started dedicating their time to locating elusive reels with Elvis music. For another, it hit me (once again) how exciting it was to be an Elvis fan back then. When the article was printed, the 3 CD box set Collectors Gold was scheduled for release, and for me that's when it really started getting interesting. 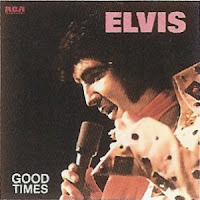 Certainly, the three first volumes in the Essential Elvis series had already been released, but Collectors Gold was the first package solely dedicated to unreleased outtakes. It was also the start of what I suppose one could call "the box sets era." Elvis himself was again taken seriously by both the public and the critics with the release of The King Of Rock 'N' Roll: The Complete 50's Masters box set in 1992, that was followed by its two companions featuring essential masters from the 60's (1993) and 70's (1995). Then in 1997, between the two Essential Elvis volumes 4 and 5 (featuring much of the outtakes described in the fan club article), came the Platinum: A Life In Music box set. 1999 saw the launch of the Follow That Dream collectors label, but that didn't stop the regular label from releasing a string of more box sets packed with unreleased material: That's The Way It Is - Special Edition (2000), Live In Las Vegas (2001), Today, Tomorrow And Forever (2002) and finally, Close Up (2003). Yet that wasn't all that happened during those years. Under the slogan, "Elvis In The 90's," Elvis' back catalog was also taken care of. Practically all of the original albums were made available on CD, many of them with bonus songs. Now it's another story, altogether. The regular label has reverted to the 80's again, producing mainly compilations with the occasional exception, like the From Elvis In Memphis legacy edition released this year. So nowadays it's entirely up to FTD to produce albums that put Elvis' music in the right context. That's ok for the fans, I guess, but what it means for the public's view of Elvis is another matter altogether. 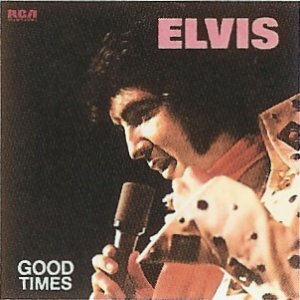 A final thought: In 2000, RCA/BMG released Such A Night - Essential Elvis Vol. 6 while almost simultaneously FTD put out The Jungle Room Sessions. I've always believed that the latter was planned as The Jungle Room Sessions - Essential Elvis Vol. 7 and then re-scheduled for FTD release as the collectors label took off. This post was inspired not only by the article in the British fan club magazine, titled "There's A Brand New Day On the Horizon," but also by a comment fellow Elvis fan Tygrrius posted on my blog in June this year. "You by God watch me!" In my latest post, I mentioned the last concert Elvis did in his hometown, on July 5, 1976. This show was recently re-released by an import label under the name of The Final Homecoming and is a lot more exciting than the one from Forth Worth recorded two days earlier and re-issued by FTD on Rockin' Across Texas. Actually, the Memphis show is one of Elvis' greatest from the bicentennial year. Listening to it, I'm reminded of the concerts from the December tour, like the one from Dallas on December 28, found on the bootleg A Hot Winter Night In Dallas. On July 4, on the actual National Day, Elvis held one of his best shows of the tour in Tulsa. "It was a helluva show," one critic wrote. Apparently, Elvis was determined to give his hometown fans more of the same the next day. Not only is the show Memphis a great one, it's also long, lasting approximately 90 minutes. During that time Elvis sings "Softly As I Leave You" for the second and last time on tour, as well as over 20 other songs, including such rare gems as "One Night," "Blue Christmas," "How Great Thou Art" and Fairytale." I also have to mention the introduction to "That's All Right," which is awesome: "The first record that I did here in Memphis was, you know, "That's All Right Mama." I heard a couple of people say, you can't do that anymore, well you by God watch me!" It's obvious that Elvis is in a good mood, enjoying his work. He sounds focused, not slurring through the songs, and his humor is present as well. A fine version of "Help Me" is jokingly introduced as being from a two year old album called "Elvis In The Gutter" and after Ronnie Tutt's incredible work out during the drum solo he exclaims, "That was fair." 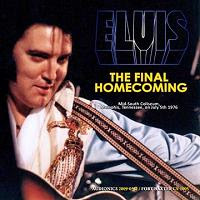 The Final Homecoming was originally released as Goodbye Memphis by the Fort Baxter label in 1997. It's a shame that FTD didn't re-release it first, going for the show from New Haven instead, recorded almost a month later, and not anywhere nearly as exciting. About a week ago, it struck me that FTD should release an album or a box with concerts that Elvis did in Memphis. And then, maybe a day later, I found out that an import label had been thinking along the same lines, planning to release Bringing It All Back Home, featuring two concerts recorded in Elvis' hometown, one from March 16, 1974 and the other from June 10, 1975. But FTD has a chance to do it better. My thinking goes like this: Release all the soundboards available from Memphis, not only the two mentioned above but also the last one Elvis did in his hometown, on July 5, 1976. And why not include the professionally recorded show Elvis held on March 20, known as Elvis As Recorded Live In Stage In Memphis, as a bonus? If I were Ernst I would present the whole thing as an "audiovisual documentary" like Live In L.A., only this time done right. With that I mean that the accompanying book would be an informative one, packed with great photos (in focus, thank you!) and with well written liner notes covering the stories behind the pictures and the shows. Original reviews from the press at the time should also be included. I think this would be an exciting package. Not only was the atmosphere in the audience always incredible when Elvis held a concert in the Mid-South Coliseum, but the shows themselves were great. Mid-South Magic. PS: Sometimes I'm afraid I spend more time thinking about the headline of a post than the post itself. This time alternative titles were The Memphis Homecomings and A Memphis Trilogy (the last one only working if the March 20 show isn't included). Some upcoming Follow That Dream releases I long for more than I do for others. The re-issue of the 1974 Good Times album is one of them. This edition comes as a double disc set in the FTD Classic Album Series, and in addition to the masters, it will contain many outtakes from the Stax Sessions of 1973. As well as this, undubbed masters of all the songs are included, with the exception of "I've Got A Thing About You Baby" which features a rough mix of master instead. The undubbed master of "Good Time Charlie's Got The Blues" is also mentioned to be unedited. Something to look forward to, isn't it, even if some of the takes are probably incomplete. To me the biggest excitement is that we finally get some outtakes of "My Boy" as well as more outtakes of "Good Time Charlie's Got The Blues," "I've Got A Thing About You Baby" and "Talk About The Good Times." And hearing Elvis rehearse "Loving Arms" will be interesting, too! The only question mark I have is that that take 6 (false start) of "I Got A Feeling In My Body" seems to be missing. I also wonder if the undubbed master of "My Boy" will have the ending looped like the released version. Whatever the answer, I can't wait for Good Times to arrive! About six months ago I signed up Elvis Today on Twitter, and started micro-blogging. The idea was to send out short messages when I didn't have the time to write on my "real" blog, or when I thought a couple of words said it all. Recently, I decided to let Elvis Today become part of another social networking website, the immensely popular Facebook. I've registered what on Facebook is called a fan-page, where I write what's on my mind and share links, photos, videos and so on. By becoming a fan of Elvis Today on Facebook you will be able to see what I've written or the things I've shared, on your personal Facebook page. It's also possible for you in return to comment on not only my updates, but also on what other fans have written about them. So far I think Facebook offers more possibilities than Twitter, as a complement to my blog Elvis Today. Why don't you sign up and tell me what you think. "You don't dig world trade, college boy?" Each Sunday, the paper had a page called Kosmopoliten devoted to useful hints and tips for things to do in different cities around the world, such as visit new exhibitions, galleries and shops, stuff like that. One such paragraph dealt with the biggest tourist attraction in York county, Pennsylvania, namely the Harley-Davidson factory. 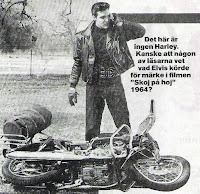 The paragraph was illustrated with a picture of Elvis, taken from Roustabout, where he's standing beside his demolished bike after being run off the road. And next to the picture was a caption reading, "This is no Harley. Maybe someone among our readers knows what kind of motor cycle Elvis rode in his 1964 movie Roustabout?" 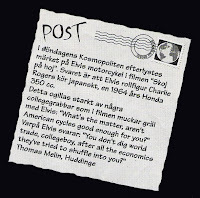 In Sunday's Kosmopoliten you enquired the brand of Elvis' bike in the movie Roustabout. The answer is that Elvis character Charlie Rodgers rides a Japanese motor cycle, a 1964 Honda 350 cc. A couple of college guys thoroughly disapproves of this, and pick a quarrel with Elvis: "What's the matter, aren't American cycles good enough for you?" After which Elvis answers: "You don't dig world trade, college boy, after all the economics they've tried to shuffle into you?" I have to admit, watching the above described scene the other day, that Elvis says "shove" and not "shuffle". This of course, wasn't something that bothered the paper. On the contrary, the editor must have been happy getting an answer from one of the readers, and published my letter the following week. Thinking about it, my answer must have been somewhat shortened, as I seem to recall that I also mentioned that Elvis' Honda had California license number 204843. Just to show off, I guess. No matter, I've kept the press clipping with my published letter, and it's one of those Elvis memories I treasure. It's not everyday I catch an Elvis movie from the mid 60's. But yesterday I was in the mood, and slotted my copy of Roustabout into the DVD player. Turned out it was a good choice. The movie cast Elvis as a moody and arrogant leather-clad biker and singer (what else!) who reluctantly accepts an offer to work at a carnival. Elvis role figure Charlie spends a lot of his time on screen in conflict with both the carnival boss (played by Barbara Stanwyck) and the foreman, who hates Charlie's guts because he takes an interest in his daughter Cathy. When things get too complicated Elvis joins another, bigger carnival as an entertainer. But all ends well as he returns, telling Cathy that he loves her and at the same time promising to help save the carnival that is now at the brink of bankruptcy. Except maybe for the ending, I think Roustabout is a pretty good movie, certainly the last one showing him in a serious role before the established formula and stagnation took completely over. Elvis does a good job, and at times I'm reminded of his pre-army days and the anger he displayed in films such as King Creole. Unfortunately, some of the songs and the scenes they are sung in, tend to lessen the dramatic feel of the movie considerably. One such example is Elvis singing "Wheels On My Heels" while driving his bike after being bailed out of jail. It completely ruins the atmosphere. The use of an indoor studio for scenes that are supposed to be outdoor are annoying, too. Especially since a lot of exterior shots are used as well. How did director John Rich reason, I wonder, when he first let Elvis walk among some real tents outdoor, and in the next scene had him walking past the same tents, but indoor? That said, I enjoyed watching Roustabout, and although it's certainly not anywhere near King Creole, it was refreshing seeing Elvis revisiting past glories on the white screen. Memphis Recording Service Is Back! About six months ago I wrote a post wondering what had happened to the Memphis Recording Service, remember? I'm talking about the UK based label that put out, among other things, two impressive SUN volumes as well as the amazing Tupelo's Own, before all went quiet. As you might have read, MRS is now back in the saddle. On November 9 Tupelo Welcomes Home Elvis Presley will be released, a book/CD combo focusing on the two homecoming concerts shows Elvis did on September 26, 1956. In addition to the two shows, the CD will include a bonus interview with Elvis from Tupelo recorded one year later. The 40 page hardback book, according to MRS, is going to be packed with rare photographs and new information on the recording of the concerts by Ron Brandon. In all fairness, Tupelo Welcomes Home Elvis Presley doesn't excite me that much, as the two concerts have been available for a long time, originally released 25 years ago by RCA on the A Golden Celebration box set. Also, the sound quality of these historical recordings leaves a lot to be desired. However, the package looks attractive, and the bonus interview from Tupelo together with the promise of rare photographs makes it an interesting release. And the price asked for it is reasonable, as well. Your choice.